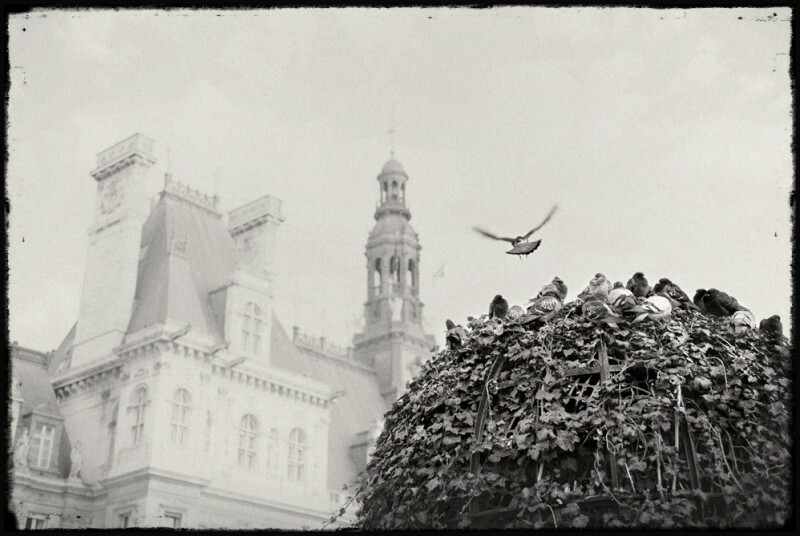 I was going for a ‘Pigeons of Paris’ theme but only managed to get a few good frames with those damn birds. There were a couple of instances where after stalking them for several minutes I got frustrated enough to consider throwing something at them just to make at least bird out of a huge flock to spread its wings and fly in to my frame like I had envisioned. In this shot this one bird apparently got bored with me and flew in the opposite direction; the others didn’t give a crap about my wishes. No, wait – actually they gave a lot of crap, all around..